Barcelona is a stunning city that you can explore from the stunning alleyways and narrow streets to the magnificent beaches. The city is kid friendly and also among the most vibrant and gorgeous places to visit as it is full of hidden gems and top tourist attractions waiting for you to explore them. 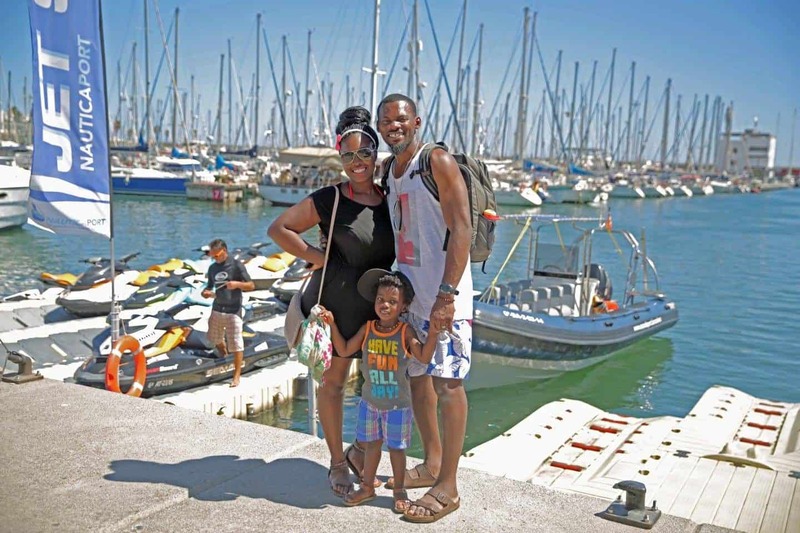 You will surely enjoy your time in Barcelona with kids. Currency: The currency in Spain is the Euro and 1 United States dollar is equivalent to 0.88 Euro as of November 2018. Language: There are two official languages in Barcelona which is Catalan and Spanish. You will also be able to find people that speak English in tourist areas. Download a translator or learn a few words in Spanish before your trip. Visa: there are no visa requirements for American citizens visiting Spain. Car Seats: car seats are required when riding in cars or taxis. We took the kids Mifold Travel Booster Seat. Click to read more about Traveling With Car Seats. Stroller: Keep in mind that some roads have cobblestone when traveling with a stroller. We traveled with the kids scooters. The best time to visit Barcelona is from June to October. 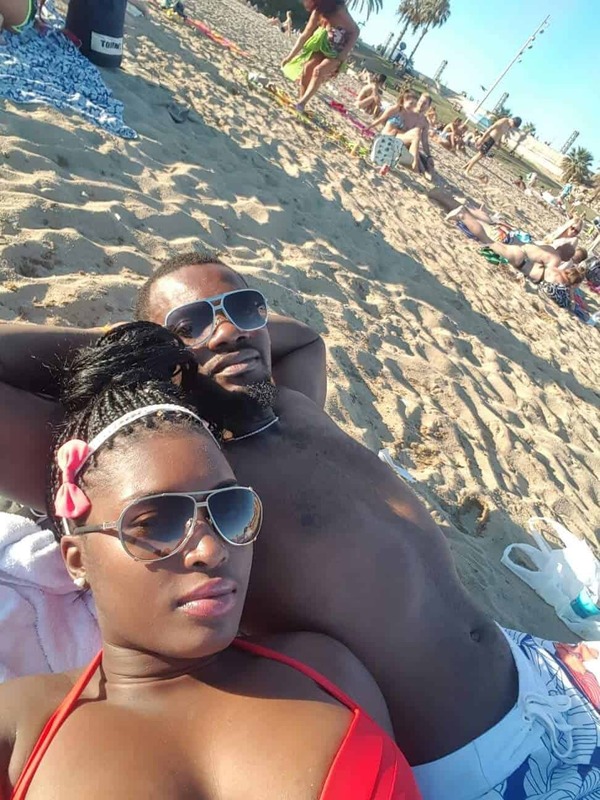 July and August are quite hot but it is also the perfect time for you if you want to just lay on the beach. 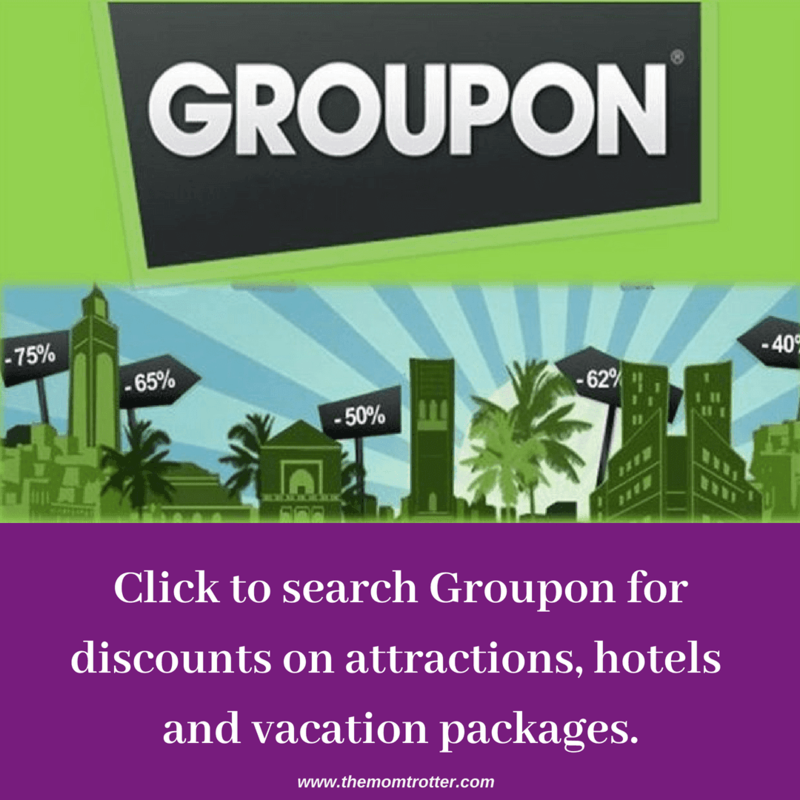 If you are on a budget, then the perfect time to go is in January or February as it is off season and you will get the lowest prices on hotels. 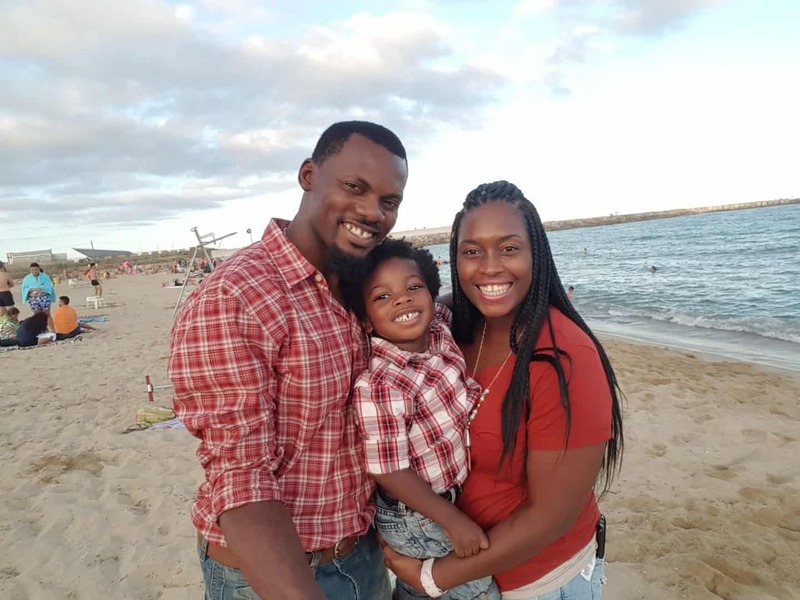 My husband and I have traveled to Barcelona with kids twice. 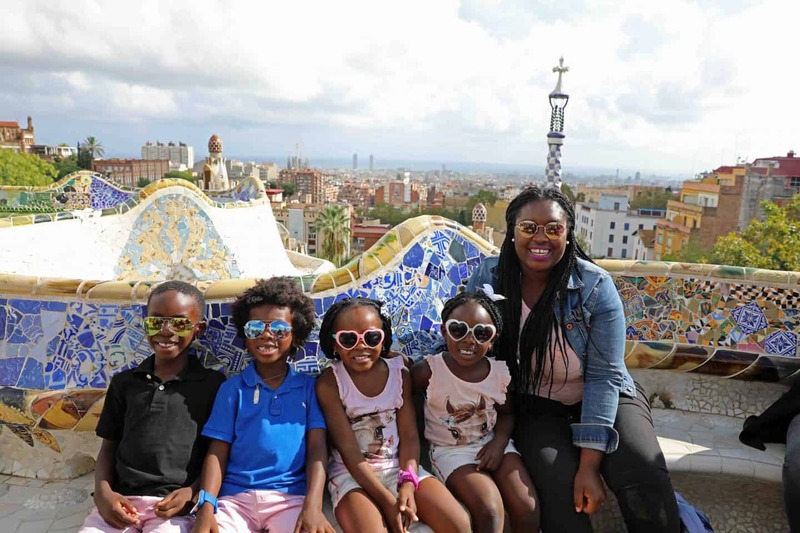 The first time we visited Barcelona with kids was August, and the second time was October. Both times the weather was perfect! May – Early September (High Season) – This is the season when Barcelona is the hottest with huge tourist and the highest accommodation rates. This is the best time to go to Barcelona’s stunning beaches and you will get to experience some major festivals like Musica. If you want to come during this period, you should try to book a hotel in advance and also travel with sunscreen and sunglasses. Late March to April and Late September to October (Shoulder Season) – This is the spring season and it is when the prices start going up. They also start dropping around September when the kids start going to school. The crowds are less during this season. November to Early March (Low Season) – This is the season when prices drop exponentially and it is the perfect time to enjoy Barcelona as you will not have to wait in line. You will also get to experience the city at a slower pace as you will not have to rush from one attraction to another. Train: On our first trip to Barcelona with kids, we took the train from Paris to Barcelona and that took about 6 hours total. It was an amazing ride with great scenery, however it was expensive – cost us $198 each for the train ride – kids 3 and under are free if sitting on an adults lap. There were plenty of seats so this wasn’t an issue. Pro Tip: Book your train ticket far in advance to get a much better rate. Air: We flew to Barcelona with kids, from Morocco on Ryan Air. 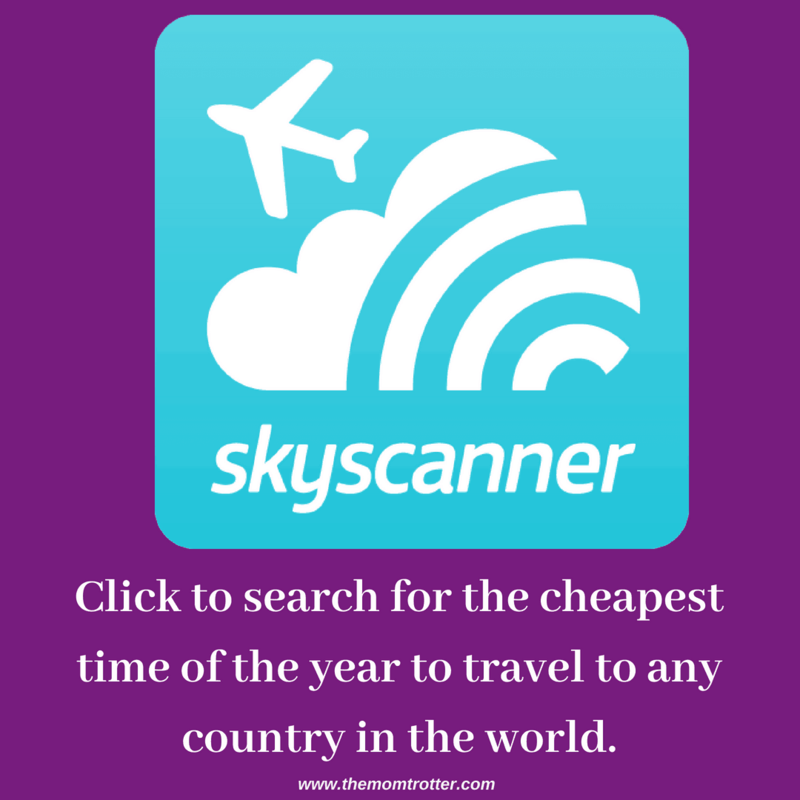 I purchased our tickets on Skyscanner for $15.95 each. 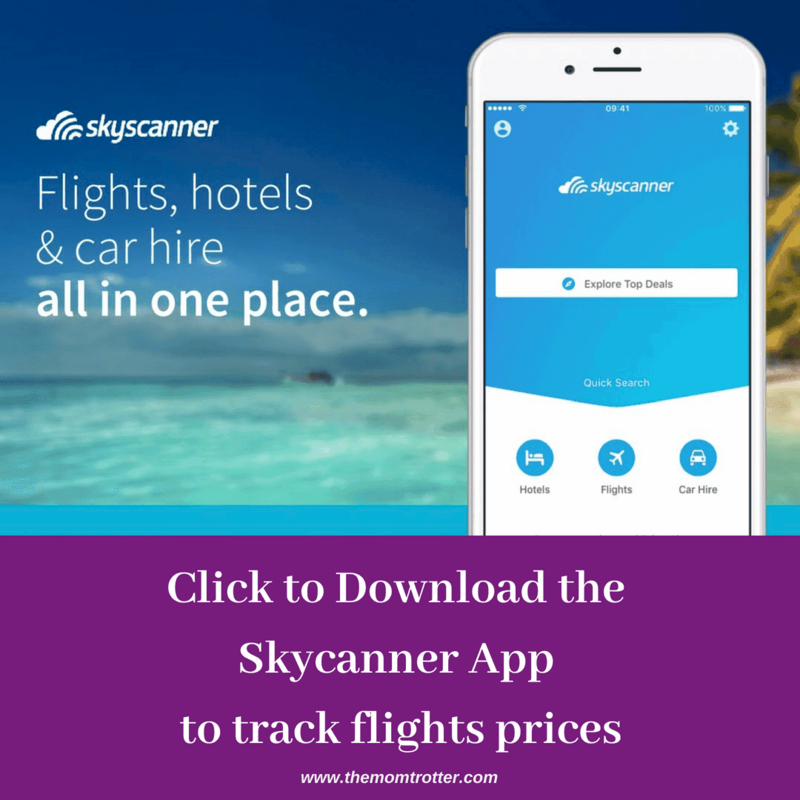 Make sure to download the Free Skyscanner App also for amazing flight deals like this. After our trip ended in Barcelona, we flew from Barcelona to LAX on Norwegian Air. On this trip to Europe, we visited Copenhagen & Billund – Denmarm, Pisa & Volterra – Italy, Fez & Sahara Desert – Morocco and ended our trip in Barcelona. Taxi: Taking a taxi is quite simple in Barcelona, you will rarely wait for more than a minute on the main street before you get one. Barcelona taxis are black and yellow, a green light means they are available while yellow light means they are taken. The taxi fares are cheaper and every driver must use a meter. You can also use the MyTaxi App to save you time by booking taxis. It works the same like Uber, and it is much quicker and more efficient. I also like that it gives you an idea of how much to expect to pay so that you can plan accordingly. Uber/Lyft: There is Uber in Barcelona which is quick and easy to use. There is no Lyft in Barcelona. Rental Car: this is a good option if you plan to tour some areas of Spain. 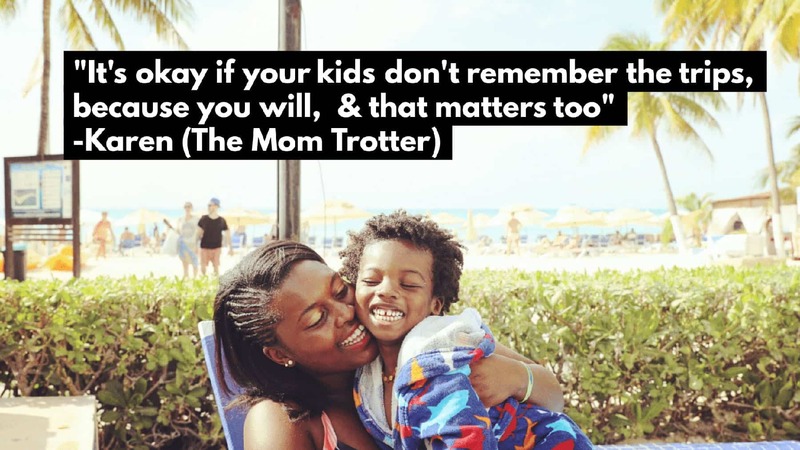 This is also a perfect option if you are with your kids as you will save money and time. You will be able to even hire a car straight away from the airport as there are many car rental companies that you will find at the airport. You can also book your car online using RentalCars.com, Car Rental 8 or Skyscanner Car Rentals before you come to the city. Public Transportation: There are many public transportation options that you can choose in Barcelona. You can take the metro which is fast, air-conditioned, and efficient and you will easily find a station near your home rental or hotel. You can also take the bus which is a perfect way to explore the city as you will get to see the city’s top tourist attraction up close, however it is slower than the metro. Barcelona’s red buses run from 8-15 minutes from 5 am to 10 pm while the night bus runs every 20-30 minutes. Hop On Hop Off Bus: Another perfect option for you while in Barcelona with kids is to explore the city through the Hop On Hop Off Bus. Your kids will surely love the view from this bus. 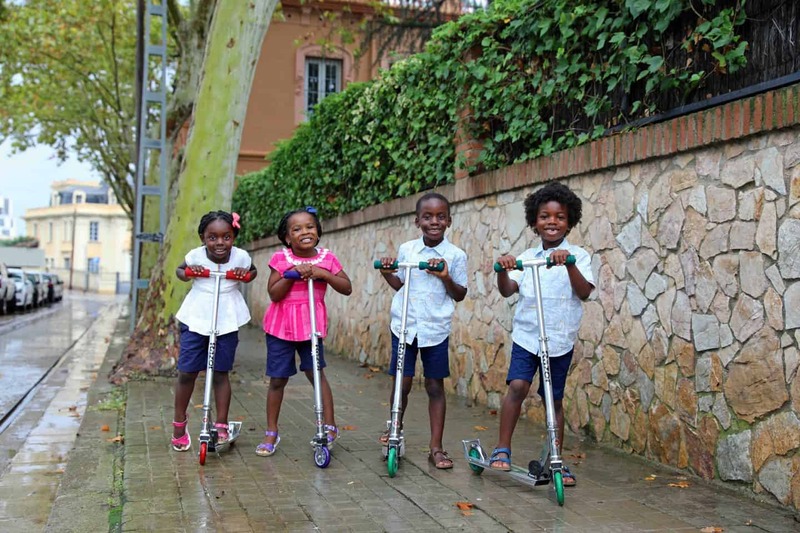 Barcelona is among one of the best cities to visit with children and one of the crucial things to do is to pick the right accommodation for you and your kids. There are numerous hotel options for you in Barcelona that will fit your budget. Sarrià- Sant Gervasi – This is among the most prestigious areas of Barcelona and it is located in the North-west corner of the city. The area is quite expensive but your kids will love its peaceful streets with many parks that they can play. There are plenty of restaurants and shops in the area with the best clinic and medical centers in the area. Les Corts – This is a more affordable alternative to Sarria Sant Gervasi but more central. There are many international schools, shops, restaurants and parks in this district. The area is also close to Barcelona financial district and it is also close to Camp Nou which is the home of The FC Barcelona Soccer/Football team. Gràcia – This is the most central part of Barcelona and it is well connected with public transportation and has an easy access to the highway. Your children will love the serene and tranquil environment of the neighborhood. Sant Just Desvern – This is an excellent neighborhood and it is just 10 minutes from the city. There are many active and outdoor activities that you can do here which ranges from hiking to just spending time outdoors. Aparthotel Arai – This is a luxury hotel in the heart of Barcelona’s historic Gothic Quarter which features stunning amenities like mini bars, fully equipped kitchens, balconies, and many more. The hotel also has a restaurant, outdoor swimming pool and it is also close to key attractions in the city. Eurostars Grand Marina – This hotel looks like a transatlantic cruise ship and it can be found in Port Vell. The hotel is situated at a great location as it is close to many tourist destinations with a hop on/hop off bus stop can be found outside the hotel. The hotel rooms are equipped with Jacuzzi bathtubs, living and dining areas, private terraces and many more for your comfort. Hotel colon – This hotel is built across the square from the Barcelona Cathedral and it is close to the Gothic Quarter. The hotel is walking distance from many tourist destinations, markets, restaurants, etc. The hotel rooms feature sitting areas, bathtubs, balconies, minibars, and many more amenities. Turin Hotel – This hotel is a good value for money and it can be found in the city center. The hotel features small, quadruple family rooms, with bathtubs. 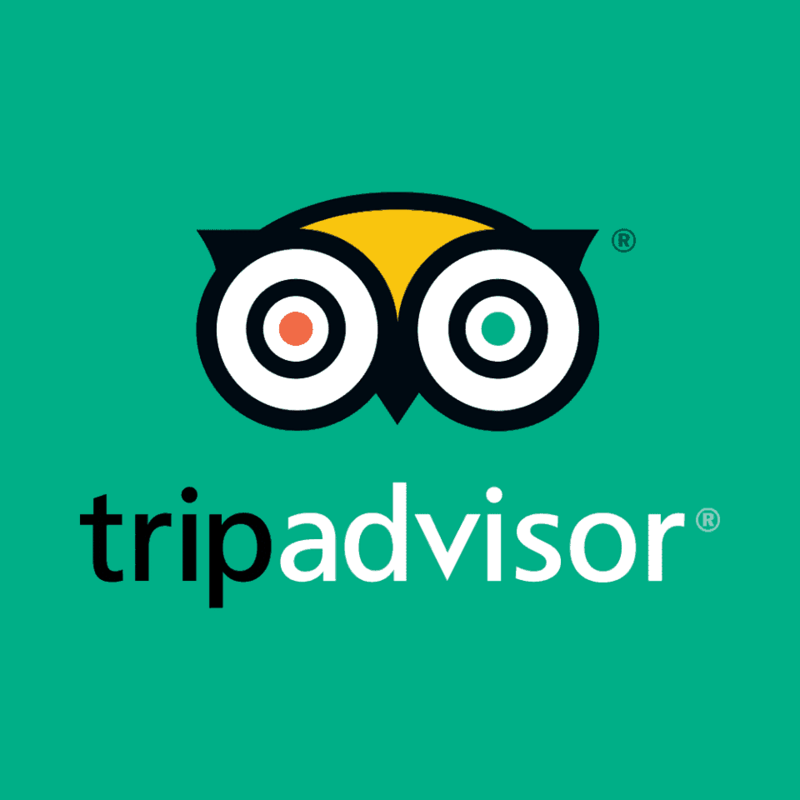 The hotel is also within walking distance of many tourist attractions and museums. Hotel Regina – This boutique hotel can be found just after Placa Catalunya and Portal de l’Angel which is Barcelona’s main shopping area. The hotel has double beds with two additional beds in the adjoining room and it is the best one of families with younger children. The hotel also has a breakfast room and downstairs lobby area. Hotel Novotel Barcelona City – This can be found just off the Avenida Diagonal in the Poblenou neighborhood of Barcelona. One of the best things about this hotel is its outdoor pool which can be found on the 19th floor of the hotel where you will get scenic views of the city. The hotel is kid friendly with the hotel restaurant also has a specially designed kids’ menu. 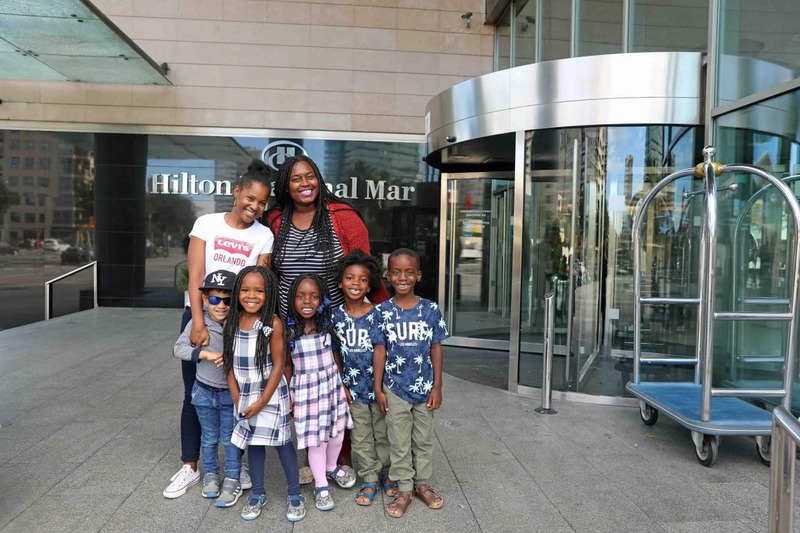 Hilton Diagonal Mar Barcelona – This is one of y favorite hotels in Barcelona with kids. 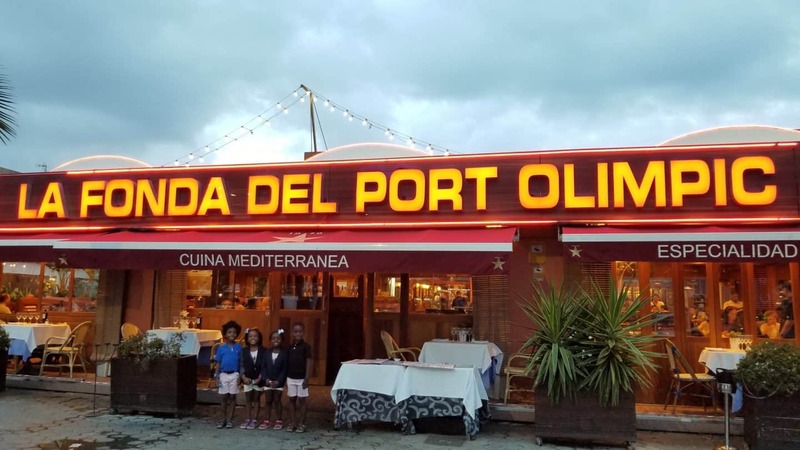 It is very close to the Diagonal Mar mall which has an awesome shopping center with plenty of restaurants to choose from as well as a fun playground. This hotel is also just a short walk to the beach which makes it my top pick. The cable car is flanked by two mountains and you should ensure that your kids experience this ride to the summit of Montjuic where they will get to see magnificent panoramas of the over the sea. This is a stunning aquarium with the largest sea tunnel in Europe and your kids will love as the rays, moon-fish, sharks, and so on swims above and around you. There are so many things to enjoy this attraction and your kids will not want to leave here. This is one of the top things to do in Barcelona as the city has a long stretch of coastline and you should not miss out on the adventure at the beach. 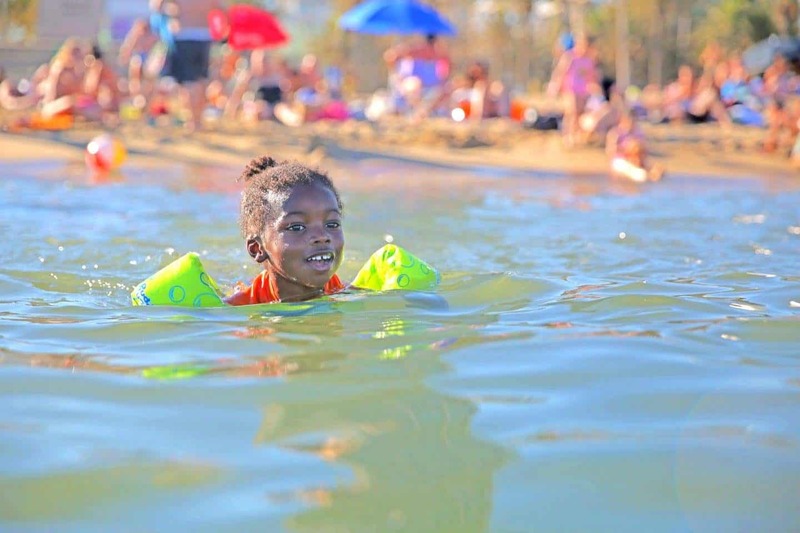 One of the perfect beaches for children is the Port Olympic / Olympic Village beach where your kids will be mesmerized and have a lot of fun. 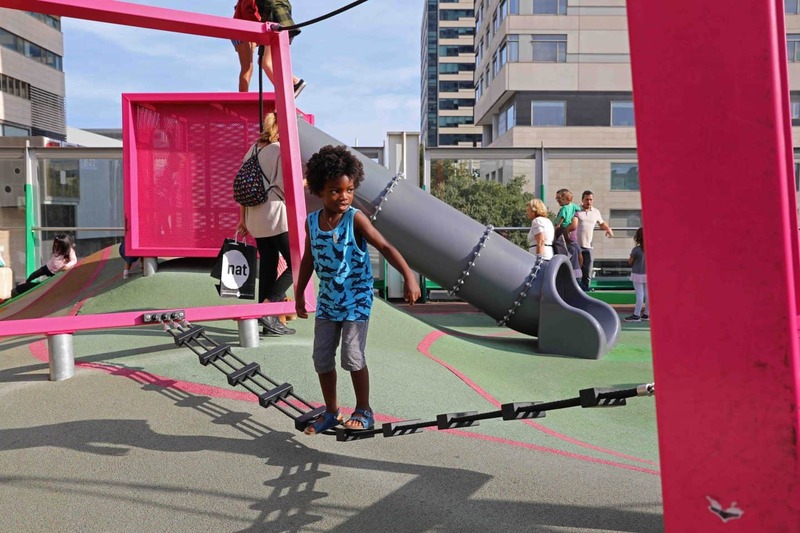 There is also a cool spider web climbing structure and playground for kids to enjoy. 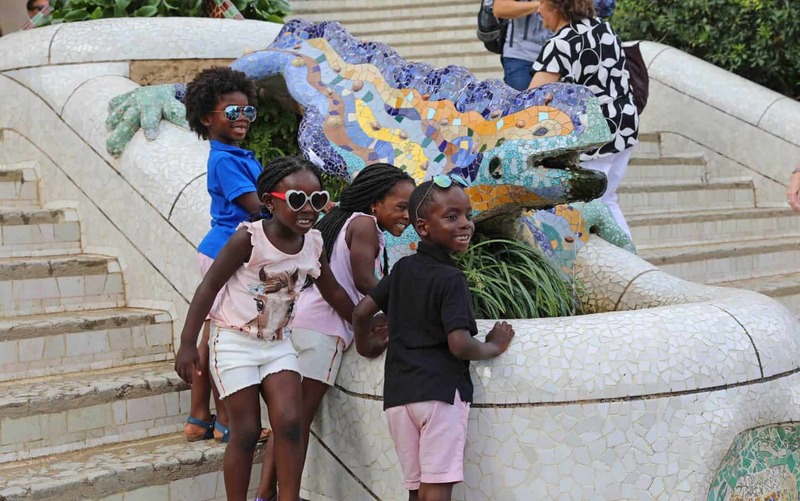 Park Güell: a fairy tale destination for your kids with stunning creations like ornamental dragons, Hansel and Gretel houses with many other things to do. Visit the magic fountain: best time to come here during the night with many shows to enjoy. 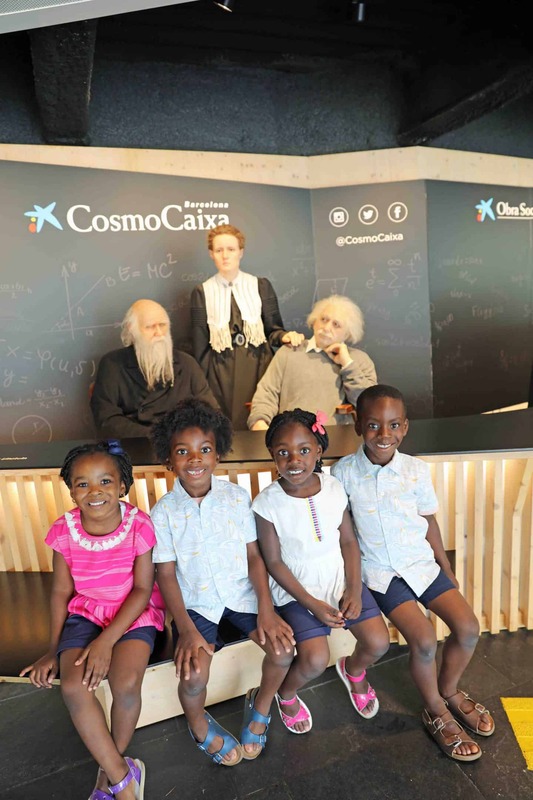 Have fun at Cosmo Caixa: this is a perfect way to spend your day with kids as there are many activities and exhibitions that will captivate you and your kids. 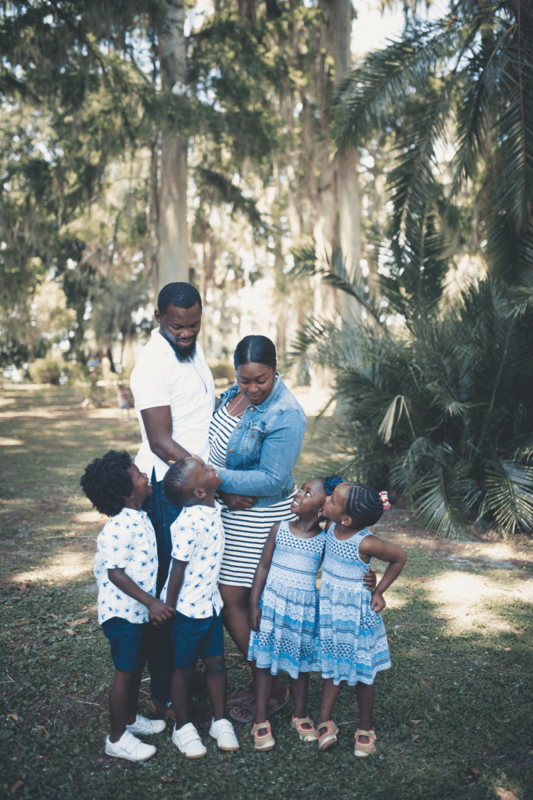 Visit the chocolate museum: This is the best way that you can give your kids a treat as they will enjoy and also love that they get to choose the flavors that they like. Explore La Rambla: this is a wonderful stroll down the popular boulevard where you get to experience the city in a way you do not expect. Sagrada Familia: Enjoy Gaudi’s stunning masterpiece. Make sure to get skip the line tickets as it gets crowded. Have fun riding the cable car: this is a perfect way to get mind-blowing views of the city. Placa de Catlunya: walk around this central square lined with shops and cafe’s. Parc de la Ciutadella: enjoy the scenery, zoo, walking trails and boating lake at this park. La Boqueria: try new foods at this indoor food market. Casa Batllo: one of Gaudi’s work which is not a museum. Tibidabo: take a ride up and have fun at this mini amusement park. Visit the zoo: kids will love this place as they will get to see different kind of animals. 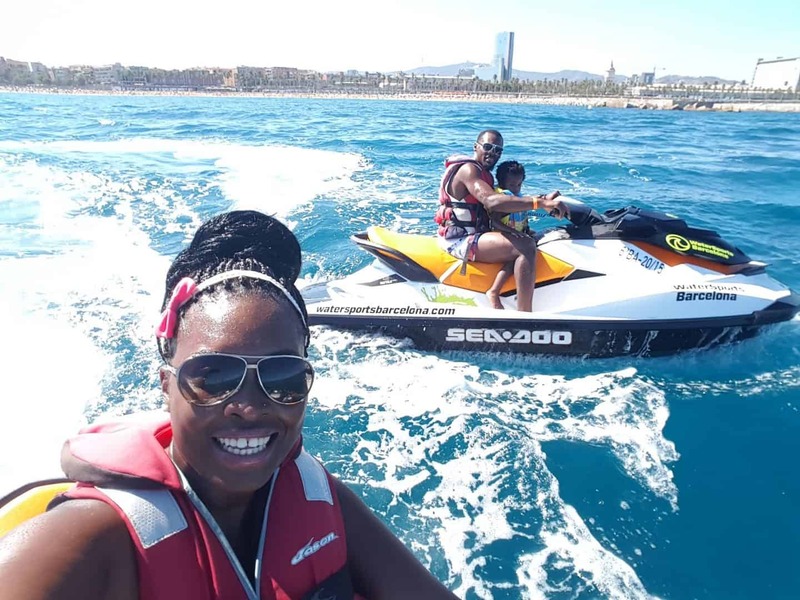 Jet Ski: You can enjoy jet skiing with your kids at the beach. We loved it so much we did it twice! Parasailing: Parasailing at the beach is also a great way to see everything from up above. 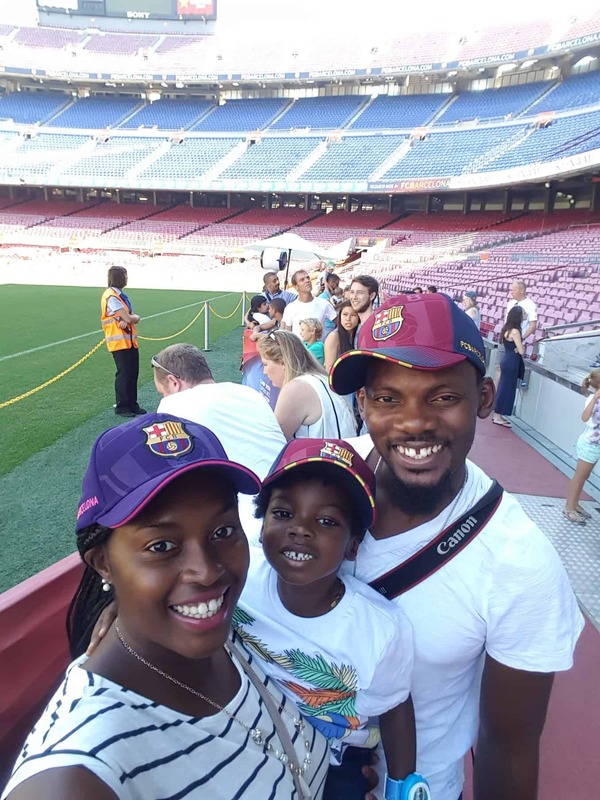 Camp Nou: If you are a football (soccer) fan, and love the Barcelona Team, then you don’t want to miss this! Barcelona is one of my favorite cities in Europe when it’s time to eat. 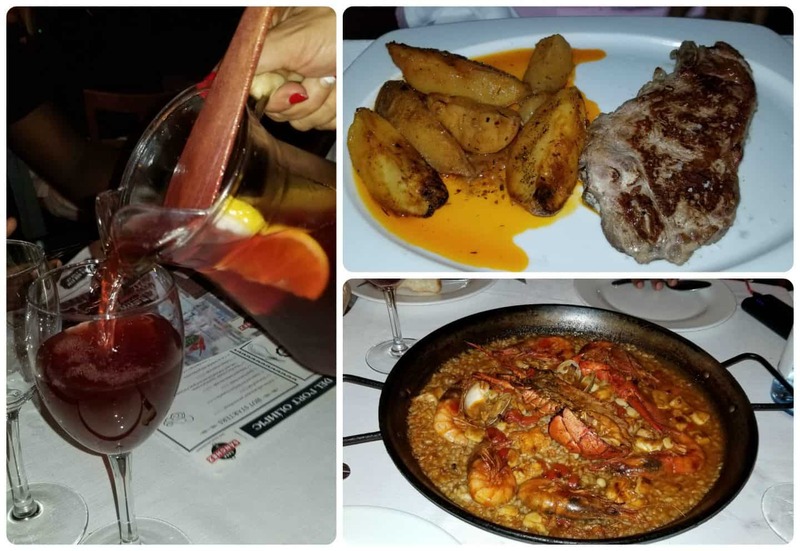 They have the best food and drinks; from tapas, to paella to sangria – you can’t go wrong. 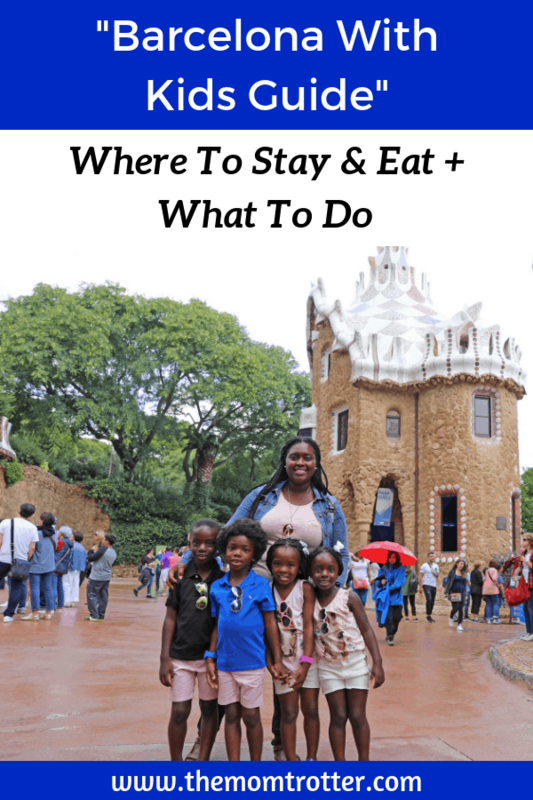 We had no problems finding good food for the kids to enjoy while in Barcelona. If you head over to Las Ramblas or Port Olimpic you’ll find tons of restaurants ans cafe’s that you and your family will enjoy. Invest in Barcelona Pass – This is a comprehensive sightseeing package which gives tourists in Barcelona a chance to experience the best that Barcelona has to offer while also saving time and money. With the pass, you will get free entry to 20+ attractions, monuments, and museums and will also allow you to skip the lines. Skip the line – There are many famous sites in Barcelona that you don’t want to miss but since it is a tourist hot spot, it is always filled up to the brim. You can easily skip the lines if you buy your ticket online using Viator or Get Your Guide. Carry cash on you – Some places in Barcelona don’t accept credit or debit card payments and it is best if you carry with you a bit of cash in your pocket. You should also know that ATM charges you a fee between €3 and €5 anytime you use a foreign bank card so it is advisable to avoid making many small withdrawals. Sim Card – get a sim card when you get to Barcelona so you don’t run up your phone bill. Sim Cards are very cheap and easy to find at any shop or mall.